And... we're back to our regularly scheduled ambient excursion via Lee Norris mailing list Bandcamp giveaway! No, no, don't all go cheering all at once, I know how much y'all yearn for me to endlessly wax the bull about dreamy pads, droning layers of timbre, and fuzzy, crackly field recordings. We all have our lanes, our strong suits, our specialties, and for me, this is apparently it. I did not ask for this responsibility – nay, it was foisted upon me, when my ears perked towards the digital winds that binds everyone's interwebs into that which is the grand tubular info super-highway. And as I carry on checking out these musics that Mr. Norris remains a generous gent over, it seems appropriate that I finally return to the project that first clued me into his music, Moss Garden. Okay, technically I came into contact with his sonic souffle when I got that fantabulous, instipicuous Pete Namlook tribute box set, where he appeared twice as Ishqmatics and Autumn Of Communion. Had no clue who he was at that point though, indeed the main names luring me in old familiar favourites. Man, when I look back at that box set now, and all the artists I've come to learn of since, it feels like Die Welt Ist Klang's become an ambient advent calendar, where I'm slowly ticking off each artist. Anyhow, despite that box set being my initial lure, I did peruse Carpe Sonum's catalog for anything else that caught my eye, of which the Moss Garden album In The Silence Of The Subconscious did. That was in fact Moss Garden's second LP, their first coming out a year prior on the Japanese sub-label Kaico (that print's first release, apparently – crazy that it was done by a foreigner group). While not vastly limited in its run, it's was still scant and obscure enough that there's no way I'd get to snag a copy for myself, so yay on Lee Norris for providing it this way to hear now! And might I say, Understanding Holy Ghosts is a smidge better than In The Silence Of The Subconscious? Obviously any album that opens with a track titled No Prayers For The Mosquito is ace in my books (die, blood suckers, die! ), but I feel there's more interesting songcraft in this album. Obviously both make wonderful use of dreamy, dubby pad work and droning timbres, though the second album rather blended together throughout. 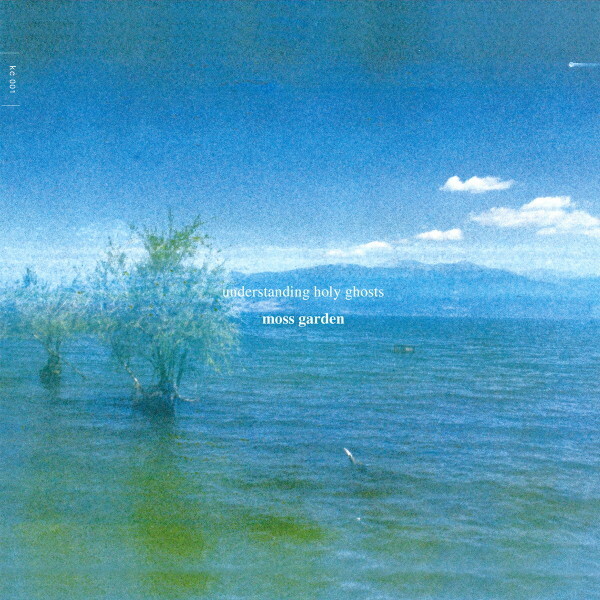 However, each composition in Understanding Holy Ghosts has a unique element standing out from its brethren. Overlooking Oceans has a soft rhythmic clatter as though you're traversing a railroad or bumpy road bridge. Ritual Solitaire and Structures Of Patience features lethargic, dubby metallic percussion, the latter time-stretched into a sonic haze as gentle choir and string pads blanket you. As for that melody in The Fabric Of Sentinal... dear God, my heart turns to melted butter on a fluffy waffle topped with cinnamon icing sugar. Bliss, is what.